Aviation is facing a range of challenges, from economical to environmental. Can we tackle them by reshaping an aircraft's wings? "Futuris" flies to Italy, where engineers are testing a model of an aircraft of the future. It is a rather futuristic plane design, yet based on an aerodynamic concept first suggested back in 1924. 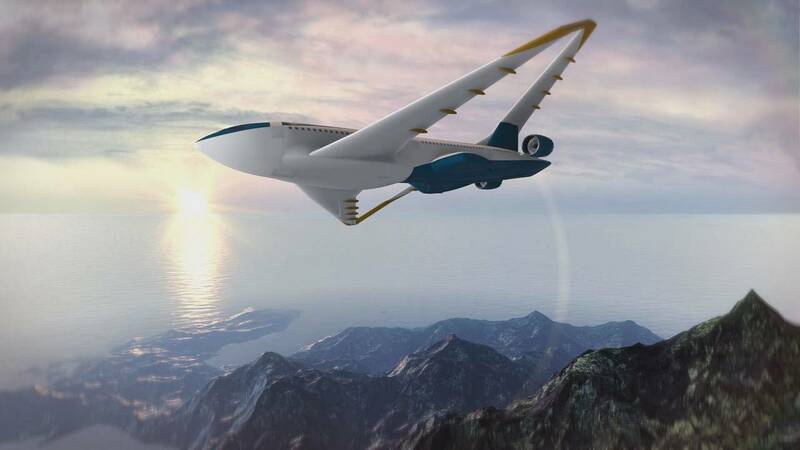 Researchers believe that now we finally have the technologies and increasingly compelling reasons to start manufacturing passenger airplanes with wings shaped like nothing you have ever seen before. "There's the problem of air pollution and the problem of growing passenger traffic - both of them require new ideas for aviation of the future, ideas that should lead to new configurations of airplanes that can consume less and transport more people," says the PARSIFAL Project co-ordinator and Professor of Aeroelasticity at Pisa University, Aldo Frediani. A hydroplane is one precursor of the aircraft being developed in the European Project PARSIFAL. It has a box-wing configuration, which consists of two wings connected at the tips by vertical surfaces. This design is able to reduce aircraft drag and increases lift, which should make making flying more fuel-efficient. "The model is geometrically scaled with respect to the actual aircraft. This will allow us to verify that its flight quality is sufficiently high," says Frediani. The University of Pisa researchers are conducting tests over a lake to fine-tune the flight controls. The results will be shared with aircraft manufacturers. But will the industry be open to such a drastic innovation? Researchers see some very persuasive advantages for their concept plane. "The category of this aircraft is the same as the Boeing 737 or the Airbus A320 used by many companies such as low-cost carriers. In terms of size, the wingspan is exactly the same, the fuselage is slightly longer and wider, but the number of seats that can be installed on the plane is increased by about 50 percent," says Aerospace Engineer at Pisa University, Vittorio Cipolla. To attempt to make unconventional planes, researchers at Delft University of Technology have developed special design software that makes extensive use of physics-based models, rather than the statistical data typically used for conventional aircraft design. "Airplanes can be very different, but physics always remains the same. That's why our advanced modelling tools allow the analysis of even extremely unconventional aircraft designs and compare them to standard ones," says Aircraft Designer at Delft University Gianfranco La Rocca. According to their calculations, box-wing aircraft can transport more passengers than conventional aircraft with the same wingspan. Airlines will cut fuel costs, and airport managers will handle growing passenger flows without changing the infrastructure or adding more flights. "We are developing this plane to enter service by 2035: our design is based on technologies that either already exist or are currently being finalised. So it's certainly a futuristic plane, but not so futuristic as to remain nothing more than a pretty picture in a book," concludes La Rocca.